Wait a minute! Hijabis can wear off shoulder dresses?! Well my answer is: Hell yeah! My advice here for all of the hijabis out there is to not be scared, don’t be scared to try new things and wear different styles out of your comfort zone, 1 year back I would’ve never thought I’d wear a turban one day, and now I convince my friends to wear it. 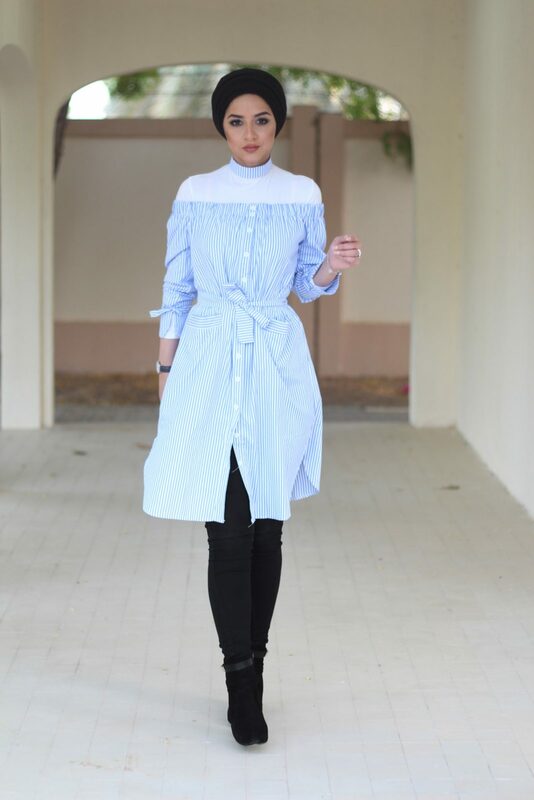 I saw this off shoulder shirt dress at @ChicBazaarDubai (Instagram account) and I’m just so in love with it. I love the clean cut and the material, I chose Size Medium and it fit perfectly. I honestly love this Instagram shopping account so much, they never disappointed me.